In the heart of Hamburg’s university district, amidst hip vegan cafés, business buildings and the ancient library, there is one very low building surrounded by very high buildings. This litte black shack hosts the Logo music club, with a stage not much higher than 30cm, a ceiling so low that very tall musicians have to watch out for their top-hats, an almost non-existent backstage and, most famously, a wooden pillar right in the center of the stage. City authorities and investors have tried to get rid of the Logo for years, but the owner refused to sell, and so it prevails being one of the top adresses of the city for the rock and metal underground. 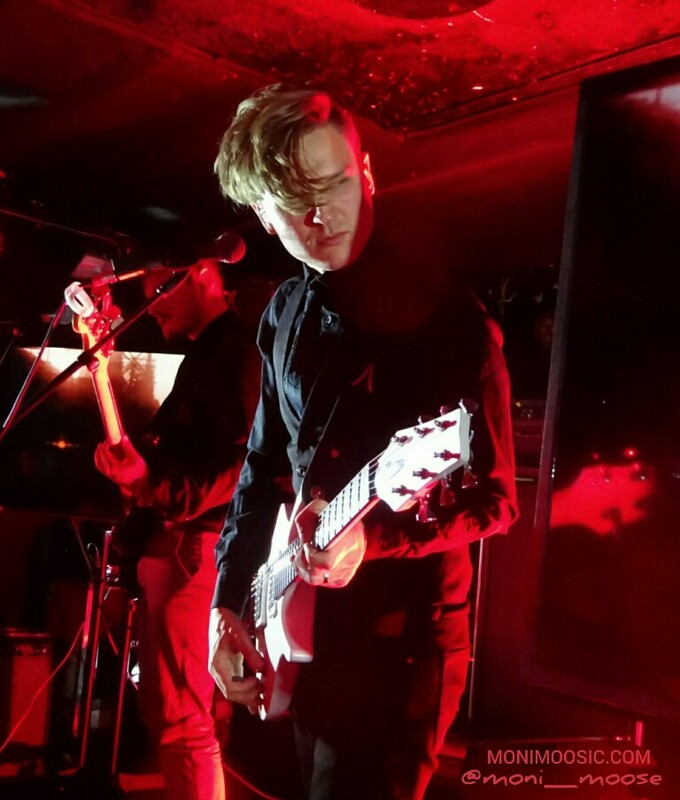 Until a few weeks ago I had no idea that Leprous even existed (how???). I got across them by chance in some Spotify playlist, immediately downloaded their latest album Malina and went through all the feels on the first listen already (and it has only grown on me since then). What a nice surprise to find out they were going to play in my city just a little bit later. I was sceptical though if it was a good idea to put Agend Fresco on the bill along with them, as their sound is almost too similar (of course bands that tour together should be of a similar genre so that chances are high that fans will like both bands, but if they are too close, people might start comparing them instead of appreciating the individual strenghts of each band). 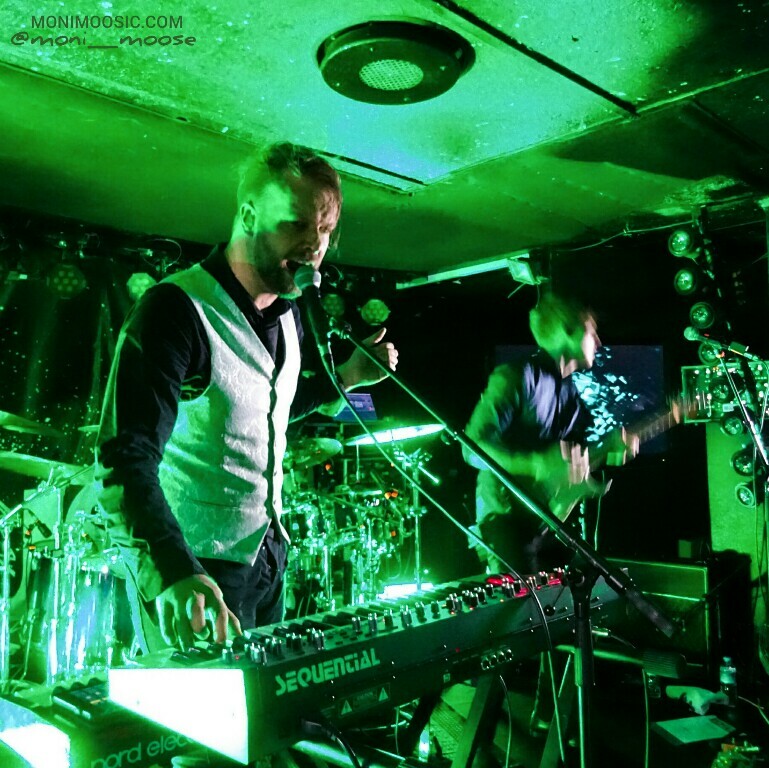 Leprous and Agent Fresco are both progressive rock bands with a strong tendency towards math rock, using high (partly falsetto) voices and borrowing their sound from indie rock and metal likewise. Honorable mentions to the two bands that opened this night of prog: Astrosaur from Norway who were the first instrumental band in ages that I actually enjoyed, and Alithia from Australia who combined heavy riffs with an angelic female voice but most of the time got lost in complex instrumental soundscapes. 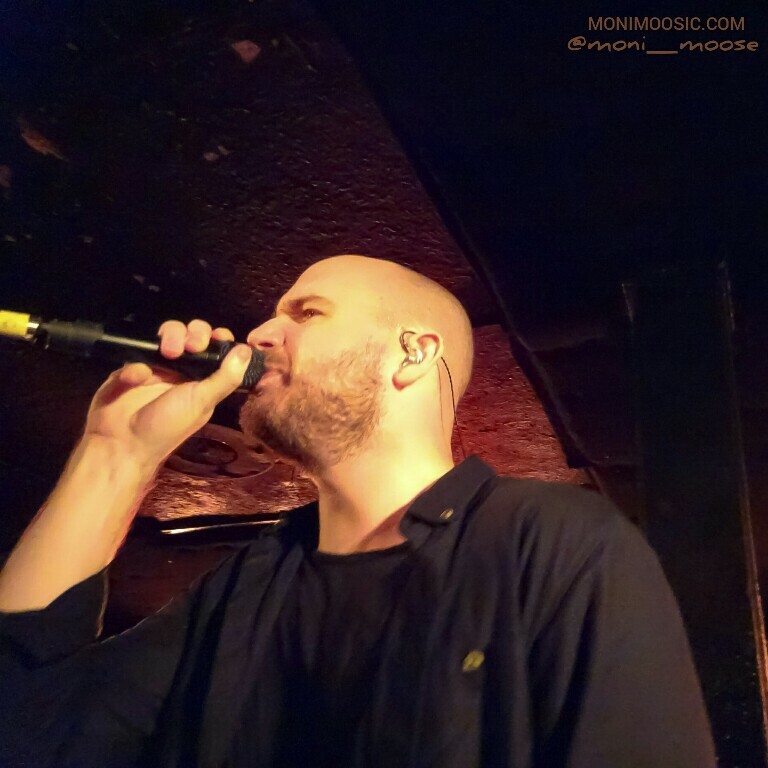 Agent Fresco impressed with a great set, sounding strong from the soft piano-driven moments to the heavy riffing and screaming parts. They are one of those bands that have it written all over their faces how much they love what they do. 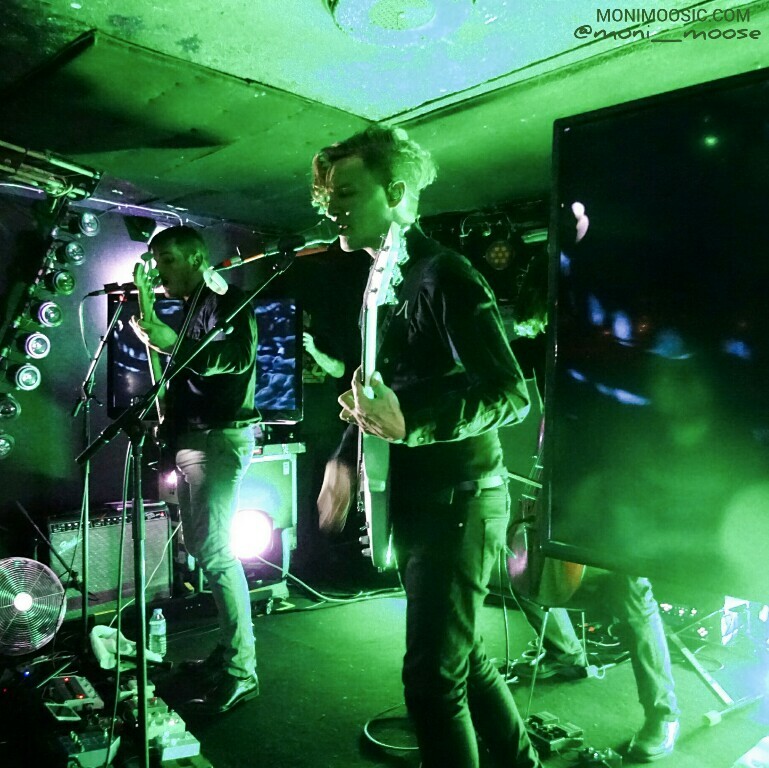 Singer Arnór Dan Arnarson kept pacing the stage and probably walked five miles during the show – on a stage that was so small and crammed with equipment (also, don’t forget about the pillar!) that there was hardly any room for pacing! 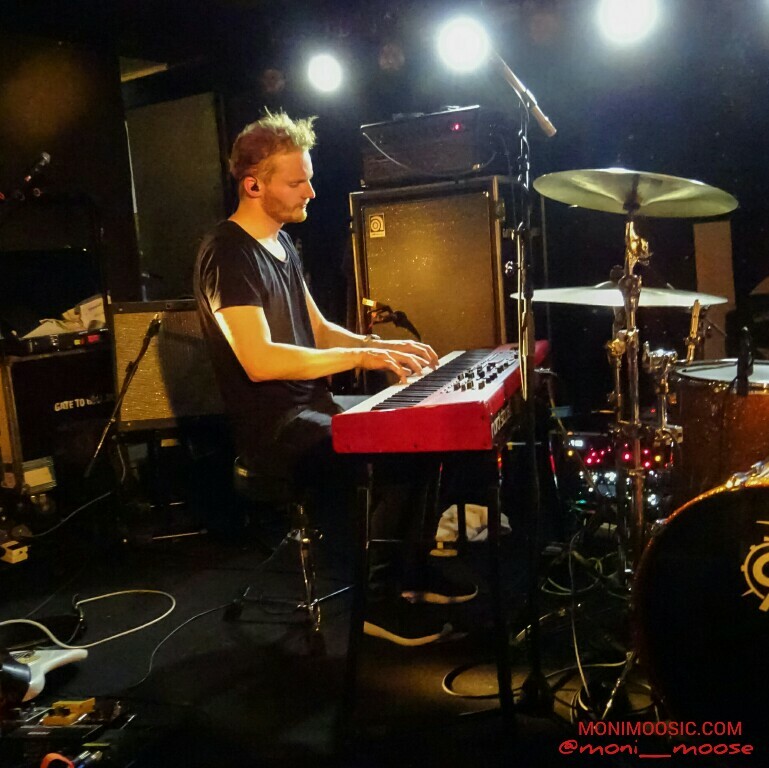 As a nice treat afterwards, Leprous’ guest cellist Raphael Weinroth-Browne started playing on his own while the stage was still being prepared for Leprous. This would have put us in the perfect mood for the show, but at that moment I was furious! The stage crew had brought several video screens on stage and, as I was standing in the middle of the first row, they put one of them up right in front of my face! Not at the back of the stage where you would expect a video screen, no, right at the front and therefore literally an arm’s length away from me. So suddenly this screen was all I saw (more precisely, it was blocking my view on Raphael whom I had been so much looking forward to see, being a cello player myself). Had I come to see a concert or to watch TV? I can only guess, but I assume they might have thought this: If the screen was at the back of the stage, it would be partly blocked by the infamous wooden pillar (it’s not that big though). So let’s just put the screen in front of the pillar… FAIL. Personally, I prefer seeing musicians over visuals, especially as there were more screens at the sides. 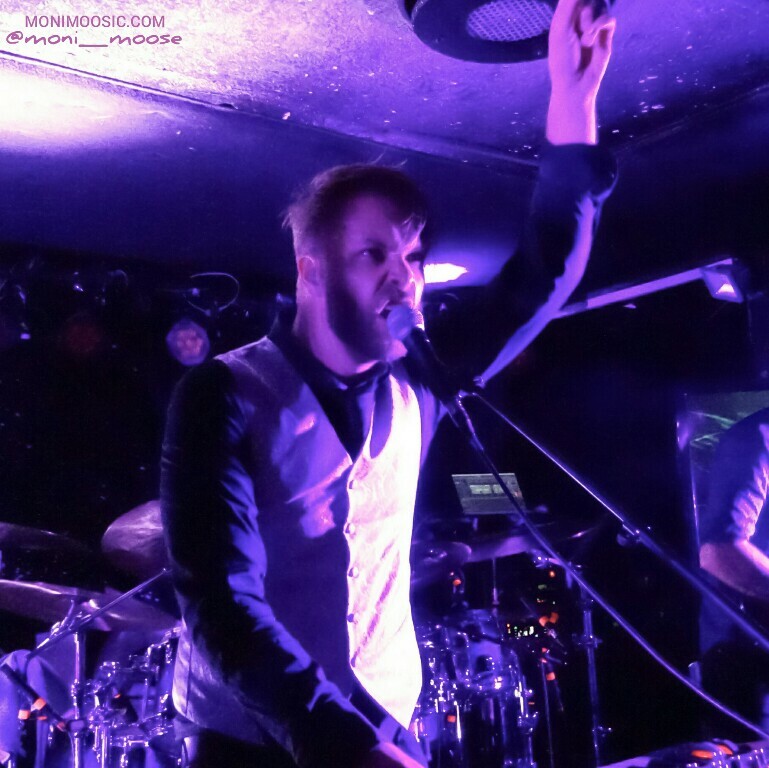 However, I was completely reconciled the moment Leprous came on stage, looking slightly out of place with their dapper shirts in this shabby club. Einar Solbergs’s voice rose on the opening track Bonneville and my heart jumped with happiness because it was so beautiful. And this feeling stayed the whole show. Leprous played and sang excellent, Raphael’s cello added a nice flavour to the sound, and the complexity of their songs is impressive, but what really sets them apart from many other good proggy, math-y bands for me (including Agent Fresco on this night – and here we have the comparison I was talking about earlier….) is that their music reaches out to me on a highly emotional level. And that’s not just due to the beautiful (and quite memorable) melodies that sail above the music, but it’s something that pervades the whole band. There was a moment when drummer Baard Kolstad moved me to tears with one of his rhythmic infernos just because it was so perfect – I don’t think any other drummer has ever done that to me! Just one of many examples of how these guys touched me during their much too short set. I have no idea if the oh so sophisticated prog audience enjoyed the show as much as I did, as the majority of people (and it was a relief to see at least a few exceptions here and there) in the sold out venue just stood and listened without moving much or even singing along. But at least the band got a reasonable amount of applause so I hope they still felt loved. About that screen… I hardly noticed it. I’m sure they had some pretty visuals on there, right in front of my face, but I was busy tilting my head from left to right to left because I couldn’t keep my eyes from these amazing musicians. 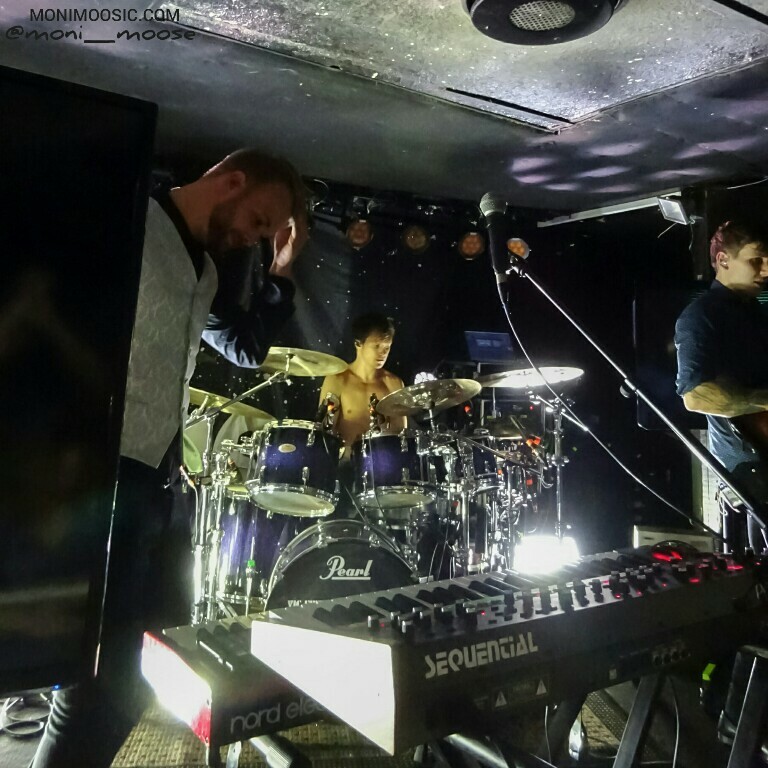 I just hope Leprous will soon get the recognition they absolutely deserve, so that they can play stages that fit with their visual ambitions. (Or just show some sanity and put the screen behind the pillar, thank you very much!) Anyway, I hope I’ll be able to see them again very soon because I definitely haven’t had enough!